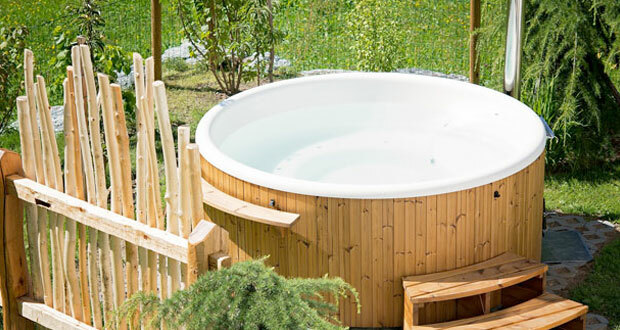 Hot tubs or Jacuzzis have physical and mental benefits which can improve overall health. They are accessible in most spas, gyms, and hotels but are now becoming more and more popular at home. Some hot tub health benefits include reducing muscle and joint pain, aiding recovery in sports and helping improve performance. Here are six reasons to justify buying one. Soaking regularly in a hot tub can help reduce the risk of injury by loosening tight muscles and improving movement. Tight and stiff muscles can lead to strains or tears, but hot water can help relax the muscles by increasing blood flow to them. Having fully functioning muscles in good condition, without tight knots and lumps, is important not just to prevent injury but to aid performance as well. If 10% of muscle fibres are in spasm then they are not able to generate force effectively. Many athletes use them as part of the recovery process as the massaging and compressive effect on loosened and relaxed muscles reduces injury risk. There has been research on hot tubs specifically improving lower back injuries and pain as the properties are similar to hydrotherapy, which is used for rehabilitation. One of the benefits of a hot tub is that, like a hot bath, they help relax the body and mind before bed. Their swirling water and buoyancy are additional points that further promote relaxation and the conditions for a deeper sleep. With muscles more relaxed and less stiff, people may find it easier to get a good night’s rest. The increase in body temperature, and the subsequent drop when getting out of the water also has the potential to aid sleep. As the body cools, its systems (like heart rate) slow down, which increases the feeling of drowsiness. Muscle and joint soreness are common complaints of athletes, and hot tubs can help with this. The hot water increases blood flow to the skin and muscles which aids the recovery process. This increased blood flow helps muscles recover, prevents stiffness and promotes joint homeostasis. The jets themselves have healing properties as they can provide a high-pressure hydromassage. This is effective in reducing stiffness and soreness, and some jets can be adjusted to focus on a specific area of the body. Muscle spasms can be reduced in this way, potentially decreasing pain. Recovery from injuries and other conditions can be aided by hot tubs. As long as the inflammatory period has subsided (post 48 hours), the hot water and the jets can help ease injuries. They can act as a hydrotherapy treatment which aids rehabilitation. The buoyancy of the water helps people move and perform resistance exercises, which can help with many injuries and conditions. The water takes pressure off certain joints, which can ease pain and help movement. Because of these mobility and strength enhancing properties, a hot tub or Jacuzzi benefits people by helping conditions like arthritis and osteoporosis. The hot water promotes vessel dilation (where the blood vessels widen) which aids blood flow. This increased blood flow means oxygen and nutrients are more able to reach affected areas to repair any damage. The jets also stimulate circulation, relaxing the soft tissue and promoting blood flow to the extremities which can help with some medical issues. This improved circulation helps muscle recovery and reduces soreness, as described in the points above. Increased circulation also helps with vital organs, although caution should be taken as this can also be detrimental with some conditions. As well as having physical benefits, hot tubs can also improve mental wellbeing. The jets and hot water make them an ideal place to unwind after a long day. The heat loosens any tight muscles and the bubbles provide a soothing massage. Reflexology massage techniques can be used on the feet to help reduce stress further. The fun side of hot tubs can also have health benefits. Simply relaxing in one with family and friends can alleviate any stress by promoting healthy moods and mental wellbeing.